While the headlines of 2014 and 2015 focused on the price-explosion of japanese single malts, in 2016 the attention of the collectors shifted back to Scotland and Macallan in particular. In our Monthly Price Updates we witnessed how the Macallan distillery index reached one all-time peak after another. From December 2015 to February 2017 the value of the 100 most traded Macallan single malts increased by 69,5%! Furthermore, in the same time period there was only one month (June 2016) where the Macallan index did not rise. This also saw Macallan climbing up our distillery ranking and finally even overtaking Hanyu to now stand at the first place. In the subsequent months though, it seems like the Macallan Price Rally came to a hault. The index dropped by 7,5%. It now stands at 483,5 index points. In case you wonder about the periodic spikes in the years prior to 2015, there is an easy explanation for that. These spikes come from the Bonhams auctions which are not held on a monthly basis. At Bonhams we observe comparable few but high-priced trades which focus on very rare and collectable bottles. Consequently, Macallan belongs to the most traded distilleries at Bonhams. Especially the Macallan trades at Bonhams Hong Kong drastically exceeded the prices paid elsewhere. This caused the value of the 100 most traded Macallan bottlings to dramatically increase within one month. Then, in the following month, there came no price observations from Bonhams Hong Kong and hence this value decreased again. As we already mentioned in our introduction of the Hong Kong prices, these huge price differences became smaller over the recent years. In simple words, Macallan whiskies got more expensive everywhere. From above the question arises whether this Price Rally only affected single auction platforms. 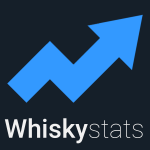 To find out, we calculated a different Macallan index for all the auction platforms we track. These indices reflect the change-in-value since December 2015 of the most traded Macallan bottlings of each platform. Of course for this we used price-observations from the respective platform solely, e.g. the below WhiskyAuction Macallan index was calculated by only using price observations from WhiskyAuction.com. The conclusion seems to be pretty obvious. In all markets the value of the respective most traded Macallan bottlings climbed by around 40%. Above we saw that the overall Macallan index climbed by almost 70%. The “missing” 30% come from cross-effects. Interestingly, at WhiskyAuction.com prices climbed constantly from December 2015 to December 2016 and stayed at about the same level afterwards. At ScotchWhiskyAuctions.com Macallan prices even dropped in early 2016 but then climbed ever since. After all those abstract indices we finally break the Macallan Price Rally down to the single bottle basis. Of course there are many bottlings which could be named here and we only point out some of them. In the below graphs you see the single price observations where the colour denotes the auction platform. Green and Red indicate Bonhams Edinburgh and Hong Kong, respectively. Yellow and Brown belong to WhiskyAuction.com and ScotchWhiskyAuctions.com. The blue line represents the monthly average prices. Credit for all the bottle pictures belongs to WhiskyAuction.com! First off there is the Macallan 18yo (1975). At the end of 2015 this whisky was worth around 750 Euros. One year later prices went as far as 2.500 Euros and settled in somewhere around 2.000 Euros. Another 18 years-old which we want to mention is the Macallan 18yo (1979) Giovinetti & Figli Import. Prices for this whisky climbed from 700 to 1.400 Euros within one year. Actually we found quite a lot of 18 years-old among the top performing Macallans. Another example would be the Macallan 18yo (1982) which also almost doubled in value. But it is not all 18 years-old. There is, for example, the Macallan 13yo (1997) Easter Elchies Cask Selection. Jugded on the below price observations this whisky seems to be particularly favoured by the bidders and sellers at ScotchWhiskyAcutions.com. Nevertheless, the highest price observation comes from WhiskyAuction.com. In December 2016 more than 1.500 Euros were paid for one of these bottles from cask 432. Of course we can always go rarer and more expensive. What about a Macallan distilled in 1946 and aged for more than half a century? You guessed right that this sounds expensive and even back in 2008 the Macallan 52yo (1946) Select Reserve was worth more than 2.000 Euros. The highest price-observation for this whisky comes from August 2015 where it was traded for around 15.000 Euros. Since the price dropped to 9.000 Euros at the end of 2015 and then climbed to more than 13.000 Euros in February 2017 this single malt also contributed to the proclaimed 2016 Price Rally. So prices for collectable Macallans increased significantly over the year of 2016. The obvious question is of course whether this will be repeated in 2017 or not. From our Macallan index we saw that prices just recently declined for three months in a row. Hence, it seems quite legit to say that this Price Rally is over. But who knows, maybe there is another one to come.